I first became a fan of Joss Stone in 2003 with her neo soul album The Soul Sessions. A big part of the charm was she was a 16-year-old with a mature voice in a retro medium. The timing coincided with Amy Winehouse’s debut and predates Winehouse’s blockbuster Back To Black by a couple of years. Stone was a very big deal in the UK but never has had the same traction in the U.S. despite her American style. I have purchased every Joss Stone album since her debut, but none have knocked me over like that debut. My sense is she has been over produced. Listening to The Soul Sessions today it sounds fresh, funky and timeless despite over a decade of a zillion artist trying to mine retro gold. 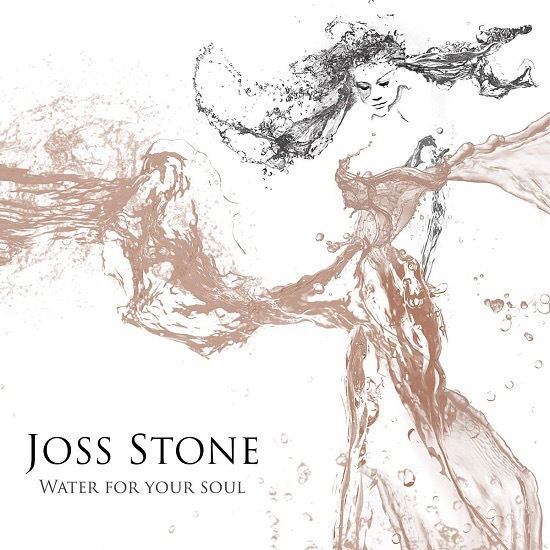 Water For Your Soul takes a reggae-lite approach on most songs and it really works with the gorgeous instrument that is Joss Stone’s voice. She easily shifts from a breathy purr and to a rock and roll roar – often in the same song. “Love Me” sets the tone with the pop reggae that dominates the session. “This Ain’t Love” is a deep modern soul that would not sound out-of-place on Sade album. But rather than Sade’s mellow voice, Stone belts it out. “Stuck On You” is a pretty ballad that is a bit over produced for my taste. It would have been an amazing cut if it had a more minimalist arrangement like the tabla outro. “Star” opens with a nice big fat beat that has just a pinch of reggae in the big pop stew. Here the big production values of the track works and I can close my eyes and hear it backing a transition scene in a movie. “Let Me Breath” has a nice Latin groove. “Cut The Line” is more pop reggae that shines a light on Stone’s amazing pipes. “Wake Up” starts with a Damien Marley toast. The reggae experiment is at full tilt here and her voice and Marley are a delightful volley. “Way Oh” is a nice reggae slow boil. I appreciate that Stone’s take on reggae is to use her normal phrasing and not some fake Jamaican put on. “Underworld” – by now the reggae groove is getting pretty infectious. I love this kind of soft boil that invokes a slow sway vs. a happy dance. “Molly Town” is more of an old school reggae groove. “Sensimilla” – a title that evokes Rastafari – is the least reggae cut on the album. Instead it is a very mellow soul ballad. “Harry’s Symphony” is the most traditional reggae track on the album and has gorgeous reggae horns and organ punctuating the track. “Clean Water” starts with a nice reggae groove with an almost Flamingo guitar over it. Stone jumps in on top and rides the groove with a great breathy vocal. “The Answer” closes out the set with a Celtic groove. This song screams for a collaboration with Robert Plant and his blues meets world music meets techno sensibility. Overall this a nicely crafted pop. Nothing revolutionary. But it is hard not to appreciate something so beautifully constructed. Stone’s voice is nicely framed by elaborate arrangements that focus more on the groove than the tinsel. Her voice is always front and center with minimal manipulation. This is classy mature pop that will appeal to retro loving millennials and nostalgic baby boomers.